Who are the best digital agencies in Johannesburg, South Africa? Digital Marketing: Who are the best digital agencies in Johannesburg, South Africa? Every year, we meet with well over 100 companies in Johannesburg to discuss their digital marketing and online presence. 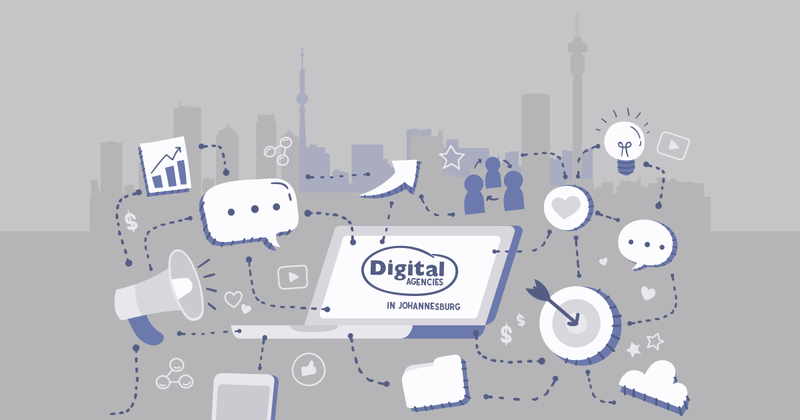 And because so many of our blog readers follow our thoughts and feelings on all things "digital marketing," they often ask us who are some of the other digital marketers and competitors we have in the Johannesburg area. We're definitely not ones to shy away from being entirely honest about our competition, and sometimes the reality is that sometimes clients come to us for solutions and we know that a competitor has better knowledge in an industry or segment of digital marketing and may be better suited to the client; and we want our clients to be as informed as possible. So here is a list of some of the digital agencies that have great digital marketing skills and history in the Johannesburg area. Some are big and some are small. Each have different core skillsets. You know what you need. Previously Gullan and Gullan, G&G Digital is a PR, social media and content driven agency. They have been around for a while and are one of the few older and established PR agencies that have successfully transitioned to a digital offering. With an emphasis on staying small, lean and agile using a core team of experts, BRAVE has been able to stay in step with the constantly evolving technology and innovation of the digital landscape, and provide exceptional, personalised service to our loyal clients for over a decade. Brave is based in Parkwood. Algorithm Agency offers digital consulting and specialises in Search Engine marketing. Algorithm Agency works with agencies, SME’s and big business. Algorithm Agency is based in Woodmead. Flume describes themselves as a digital marketing agency with a singular purpose: To make people aware of your brand, build your reputation, and bring business to your business. Flume is based in Bryanston. Backed by the award winning 20-year-old King James ad agency, King James Digital is one of the larger players on the list. According to their website, King James Digital offers an interconnected set of services to help our clients respond to the disruptions and seize the opportunities of the digital age. They are based in Parktown. Black Snow Group describes themsleves and a digitally-led branding and marketing services company, with a belief in creating authentic brands crafted with novel originality, delivered simply. Black Snow is located in the Design Quarter, Fourways. So, there are six agencies to consider if you are looking for digital marketing services in Johannesburg. And thanks to Brent at Growing Pains Business Coaching for assisting with some of the research.